JAMES NEFF BINGHAM was born February 10, 1906, and died January 15, 1964 in Brady, McCulloch County, TX. He married NORA ODELLE SMITH 1925 in McCulloch County, TX. She was born September 25, 1907, and died September 03, 1973 in McCulloch County, TX. He was the tenth child born to David Mack Bingham and Benson Bellzora (Belle) Wilson Bingham. 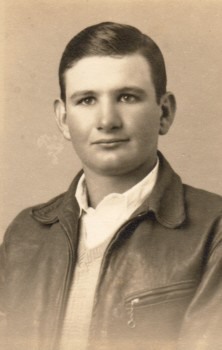 JESSIE JAMES BINGHAM b. June 29, 1926, Brady, McCulloch County, TX; m. (1) DOROTHY N. ?, August 17, 1967; m. (2) EVELYN M. ?, March 01, 1970; m. (3) CAMILLA GARZA, May 12, 1984, Brady, McCulloch County, TX. BILLIE JEAN BINGHAM b. May 26, 1928, Brady, McCulloch County, TX. 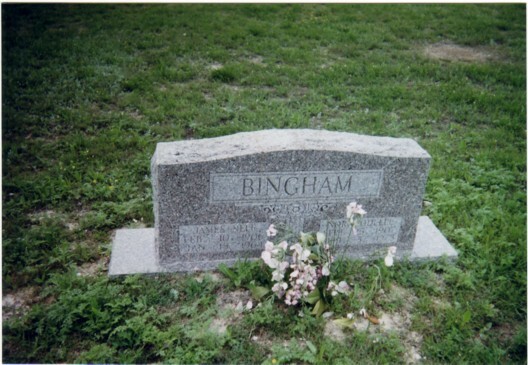 WANDA MAY BINGHAM b. August 23, 1934, Brady, McCulloch County, TX.